Gillette is most likely for everyone a well known brand worldwide. But what not everyone knows is that Gillette made very good safety razors in the past. One of these safety razors was called the Gillette Tech, and they made many different kinds of this safety razor. But somewhere at the end of the 80s Gillette stopped producing safety razors, and today you can only buy Gillette cartridge razors in the western part of the world. And of course for these cartridges you have to pay a fortune, as one cartridge would cost more than € 4. However, when I was in China I saw a very cheap Gillette Safety Razor in the PARKnSHOP supermarket. At first I didn't buy it because it honestly looked very cheap with the plastic handle. But later when I was again in China I bought it anyway because I changed my mind. 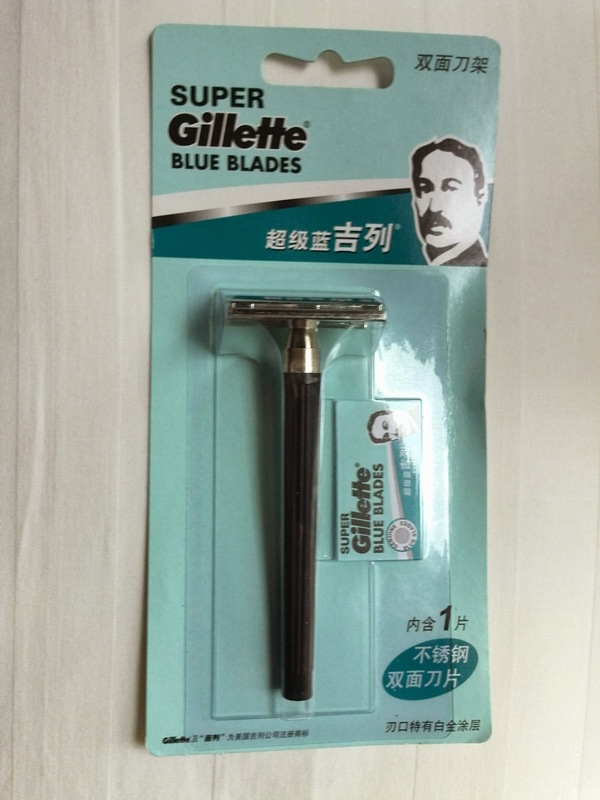 The Chinese Gillette Tech comes in a paper card packaging, which contains the safety razor and one Super Gillette Blue blade. They guy who is being shown on the packaging and the blade is King Gillette. In the first impression the design may look cheap and simple, but I think the design is actually quite good. Because the handle from the safety razor is about 11cm, and that is much longer than the average safety razor which mostly have a smaller handle. The plastic handle may look very cheap, but its a very practical handle because of the ridge lines that offer a very good grip. The coolest thing about this safety razor is actually the razor head with the old school Gillette logo. I own this safety razor for more then one year, and its one of the safety razors I have used the most, and I consider it to be my second safety razor in use. This safety razor is in comparisment with my Edwin Jagger DE89L much milder, but not to mild like an Weishi 9306. Because this is a mild razor that also means you won't nick or cut yourself with it fast, and this a benefit for beginners. Despite that this is a mild safety razor I have no trouble at all shaving away a two or three days beard grow, in two passes, and I still get a smooth shave. This safety razor is very light when compared to a heavier safety razor like the Edwin Jagger DE89L, and you won't be punished directly when exercise a little pressure on the safety razor. The light weight of this safety razor makes it actually a good safety razor for beginners who used to use a cartridge razor. I can give quite a good judgement of the build quality, because I have this safety razor for more then one year and I used it quite often. The build quality is in general quite good, and I can't really say anything bad about it. But I found a little bit of wear on handle over time, but its on the part where you would screw the handle on the razor head. 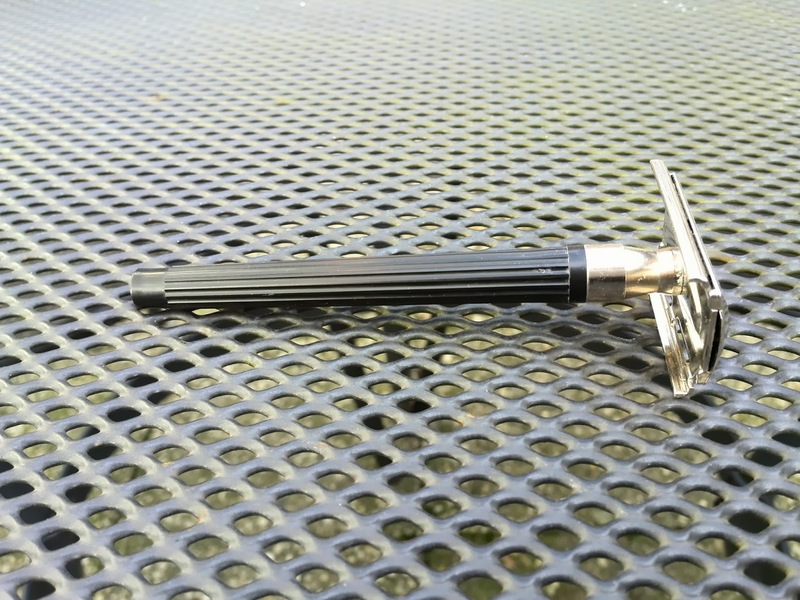 But for the rest the safety razor is in a good condition. Furthermore it seems that this safety razor is also drop resistant, because I have dropped this safety razor more then once on the floor and it didn't even get one scratch. Of course you can't compare the build quality to an Edwin Jagger DE89L for example because its 10 times more expensive. You can buy the Chinese Gillette Tech in China for about $ 1,50, but the easiest way is just ordering one from Tinydeal for $ 3,30 including shipping. The Chinese Gillette Tech offers a outstanding value for your money, and its hard to find a better safety razor in this price class. 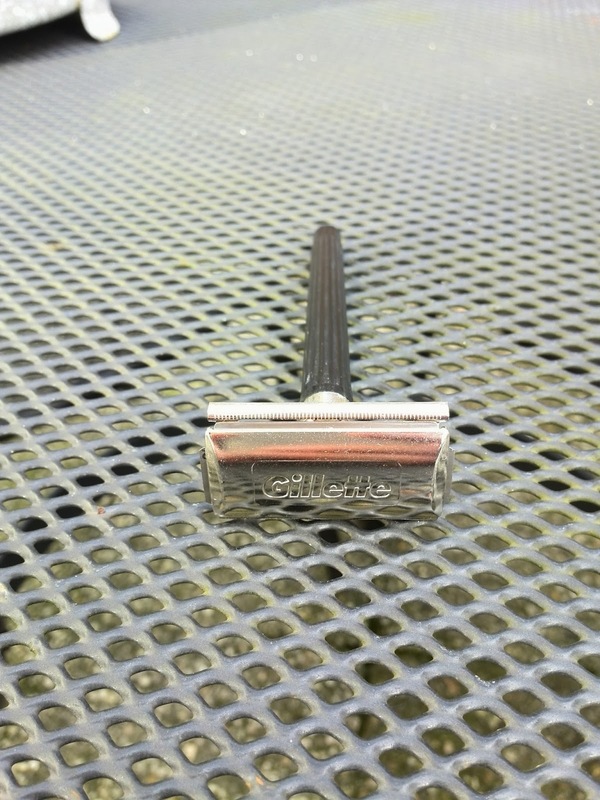 So if you are looking for a cheap safety razor for beginners and you don't want to spend much money, then this could be a good choice. But of course this is also a good safety razor for experienced wetshavers, and its perfect for carrying with you during travel.